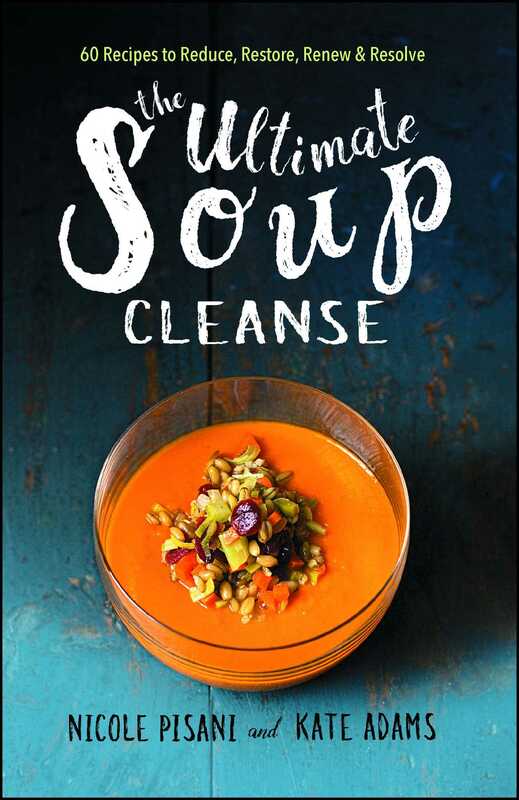 From the former head chef of London’s renowned NOPI comes a soup cookbook unlike any other; with a focus on the revitalizing health benefits of soup, Ultimate Soup Cleanse offers over sixty delicious, healthy, restorative soup cleanse recipes to fit any lifestyle. There is just something about soup: it has the ability both to revitalize and to soothe; it’s packed with nutrition and offers variety, deliciousness, and comfort; it’s also a fantastic aid for weight-loss and improving digestion. Discover all that soup can do for you in this healthful guide packed with over sixty delicious, nutritious recipes, all organized into four different categories of soup cleanses—Reduce, Restore, Renew, and Resolve. Recipes as varied as asparagus mimosa soup, saffron broth with prawns, and smoked aubergine and kefir soup are all part of the Reduce cleanse, proving that losing weight by eating nutritious, filling soups is not only possible, but also delicious. And hot cucumber with barley soup and wild garlic & baby spinach with olive soup are both tasty, healthy meals as part of the two-day Resolve cleanse and perfect to attempt over the weekend. If you’re feeling more ambitious, you could sample an array of recipes from the five-day Renew cleanse, such as barley bone broth, mussels and leek soup, or wild rice, edamame, and rainbow chard soup. Whether you’re swapping a stale sandwich at lunchtime for a vibrant bowl full of grains and greens that will help you lose weight, or relaxing at home over a velvety blend of Jerusalem artichoke and fennel soup to help strengthen digestion—it’s always the right time for soup. Kate Adams is a health writer and the author of The Flat Tummy Club Diet. She lost thirty-five pounds by eating recipes from Magic Soup.